Most nations on this planet have national animals. America has the bald eagle, Australia has the Kangaroo, Emu and Koala, Wales has the red kite, China has the panda, while South Korea has the tiger. Nothing uncontroversial about these animals at all. They are national animals because they have traditionally lived in those countries. That's the point of a national animal. 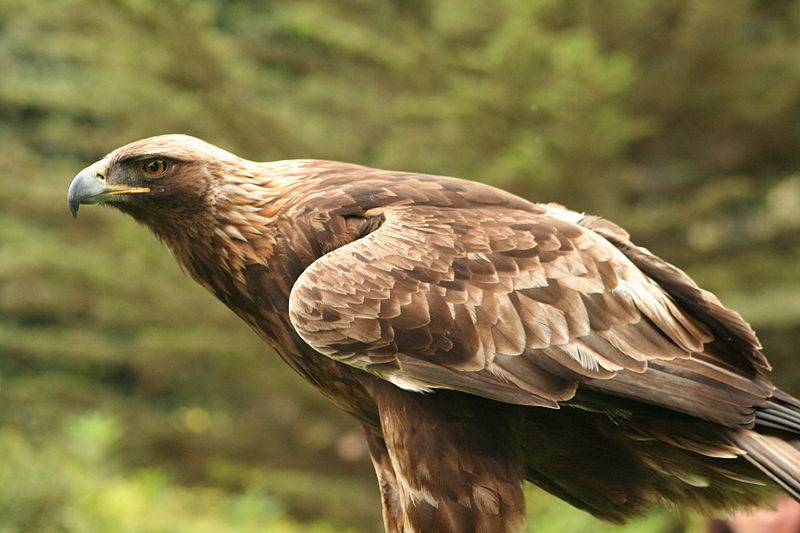 Now over the past few years, Scottish nationalists have slowly been building support to have the Golden Eagle instated as the national animal(or more specifically, the national bird) of Scotland. Nothing uncontroversial, right? It lives there, therefore its not beyond reason that it could become a symbol of the nation, right? That's how this kind of thing works after all. Well according to the Tories, that kind of thinking makes you an evil imperialist Hitler loving Nazi. Who'da thunk it? The Tories are really clutching at the straws with this one. I understand full well that they are determined to pull out all the stops to discredit the SNP and anything that they want(and nationalists have wanted this for a very long time), but....come on guys. Come on! Really? "The golden eagle is the symbol of an empire that once invaded large parts of Scotland, and more recently of another empire that tried to. In the lifetime of many people in this country it was the last thing their relatives saw as they were marched to their deaths. It has been a symbol of imperial power of which Scotland is emphatically not, never has been, and hopefully never will be." Is that honestly the best you can do Mr Carlaw? A classic example of the Reductio ad Hitlerum at its finest. Oh, and Mr Carlaw seems to be under the misguided impression that the British Empire(Which Scotland was a part of) was not an imperial power... which kind of fits into the old Tory narrative that the British Empire was a force for good in the world. Whitewashing history is a fools game and is completely unacceptable in my view. Never change, Tories. Never change.